Lauren Jacobs Leads The Family Pack | Run S.M.A.R.T. 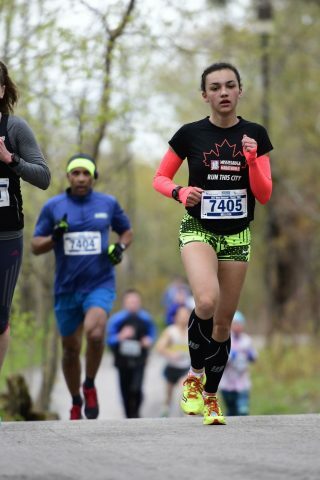 Lauren Jacobs had just finished her first year competing at the high school level when she jumped in the “Hazel” 5k Run on Mississauga Marathon weekend. After customizing a few training plans she managed to set new PBs for 400m, 800m and 1500m, but she had never been able to beat her dad in a 5k until this summer! That’s Lauren in front and I am in the background. It was a monumental day because it was her first time pulling away from me since she started running five years ago at age 10. I coached her and paced her for Track and XC for 4-years and now I will never beat her again.